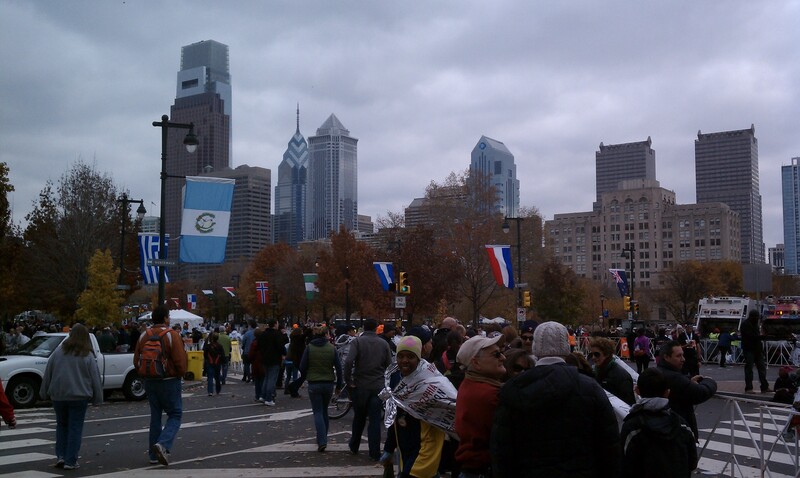 back in November, I think, Monika ran the Philadelphia Marathon for the first time. 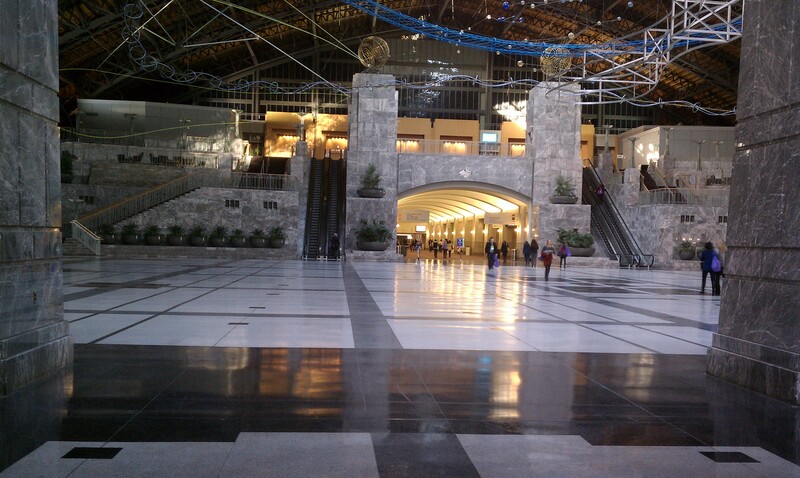 The day before, we visited the Philadelphia Convention Center for race packet pickups. I really love this building. It’s a shame not many people get to see it. I always thought this main room would be an awesome venue for a low key show of some sort. the acoustics are amazing. 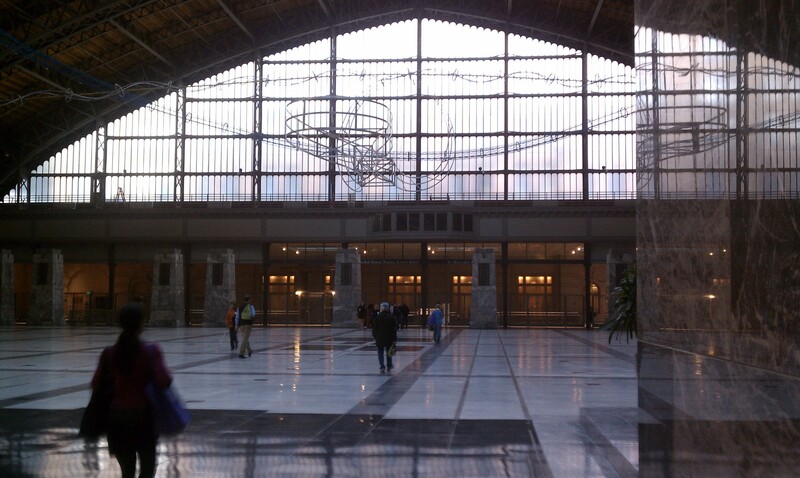 It used to be a market, and rail lines used to run right through here. Their location is still marked on the floor with parallel lines the whole length of the room. It serves as a sort of art gallery, also. 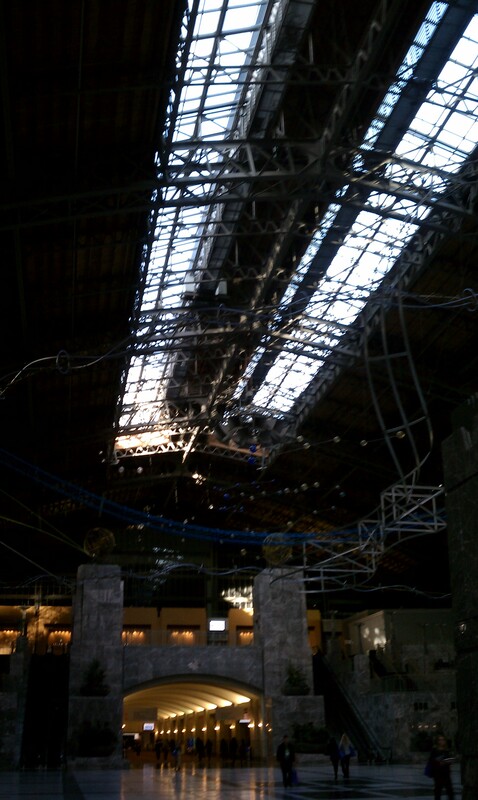 Arching ceilings really give you the feeling of being in a huge hangar. 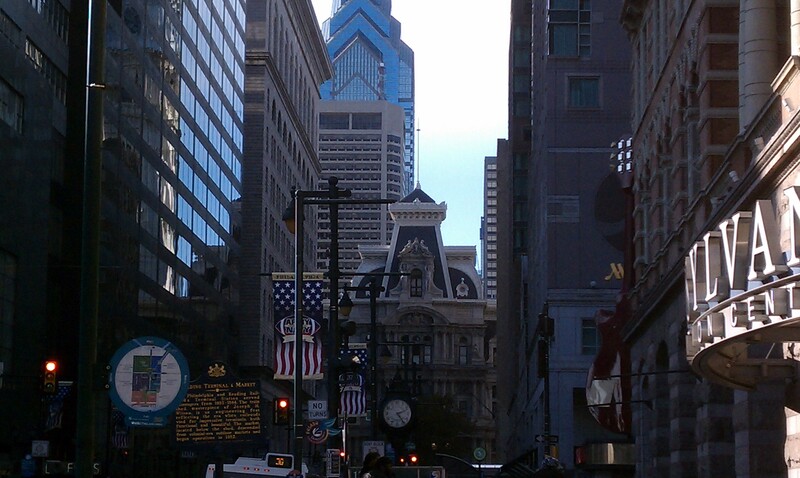 a shot of downtown Philly from the steps right on Market street. I always love the site of the Philly skyline. It will always remind me of growing up here in South Jersey, watching the skyline morph over the years. this is a random corner on Market Street. Not sure what it means, exactly, but interesting. 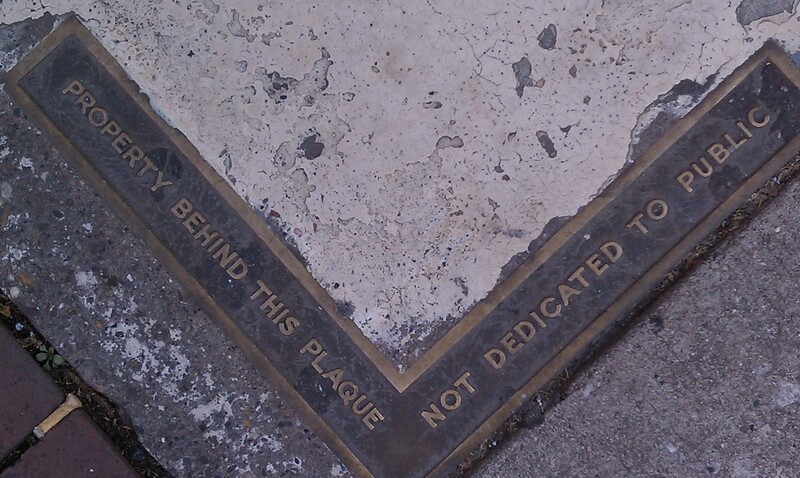 I’m always looking down when I walk in the city, usually looking for Toynbee Tiles. next day was race day. Monika got an super early start, and Craig and I headed in after a few hours to meet them at the finish line. Mayor Nutter gave high fives as people crossed the finish line, 26.2 miles and 4 hours after starting the run. Monika, the champion. 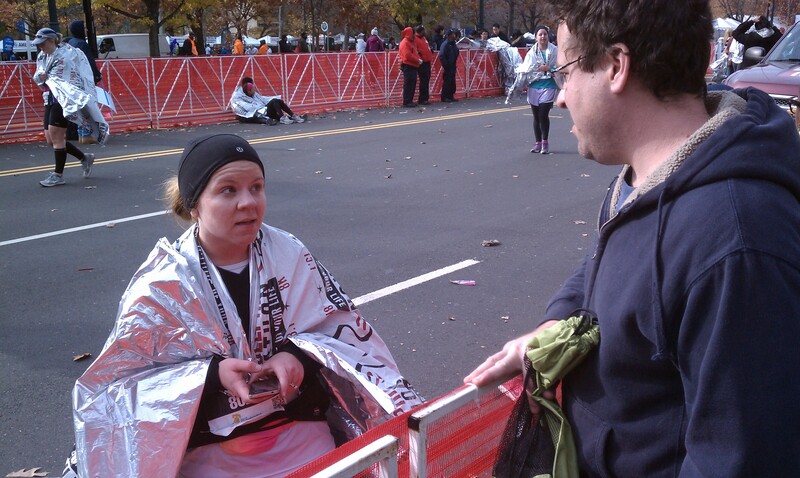 okay, maybe not the most flattering picture she’d like me to post publicly, but hey, she just RAN A MARATHON. Give her some slack. Notice the cel phone still firmly in hand. I taught her well. Water and cel phone, the two necessary things to survive in life. 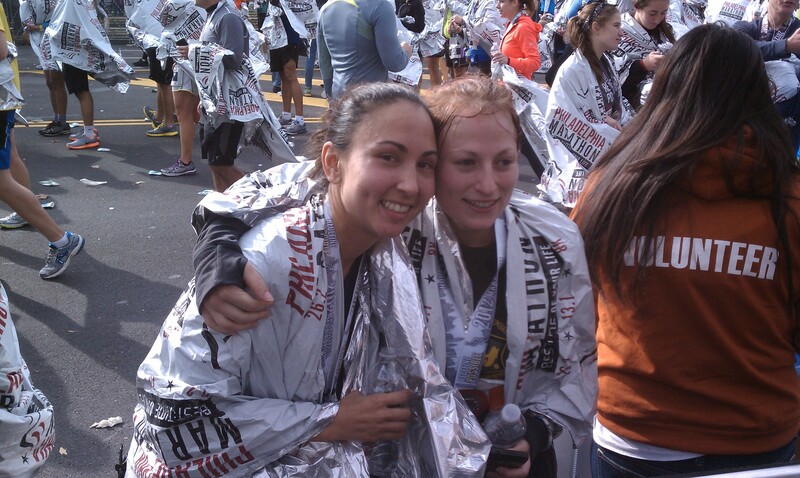 This is Monika and her friend, who was only going to run a half marathon, but Monika convinced her to run another half during the race. She really has a way with convincing people to do crazy things with her. 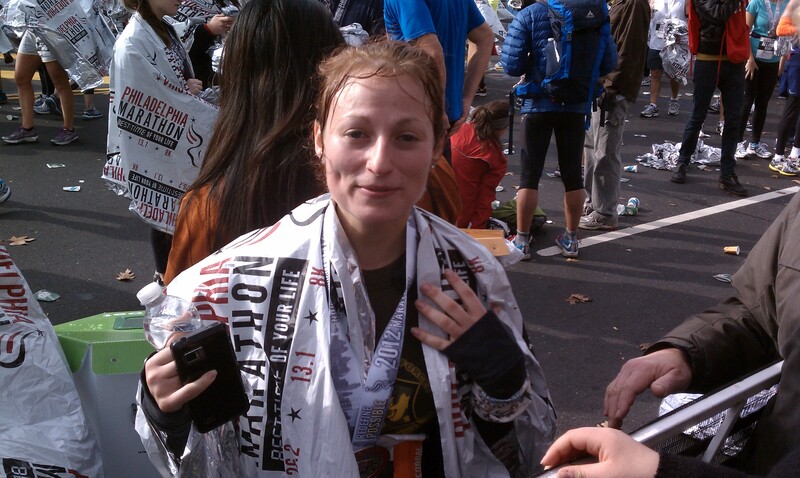 Kat made it too, her first marathon as well. We were both super proud of them. And, glad we finally got our wives back. They had been training non-stop, everyday, for like 6 months, so yeah, we were looking forward to this whole thing being over already. I’m sure they were also! 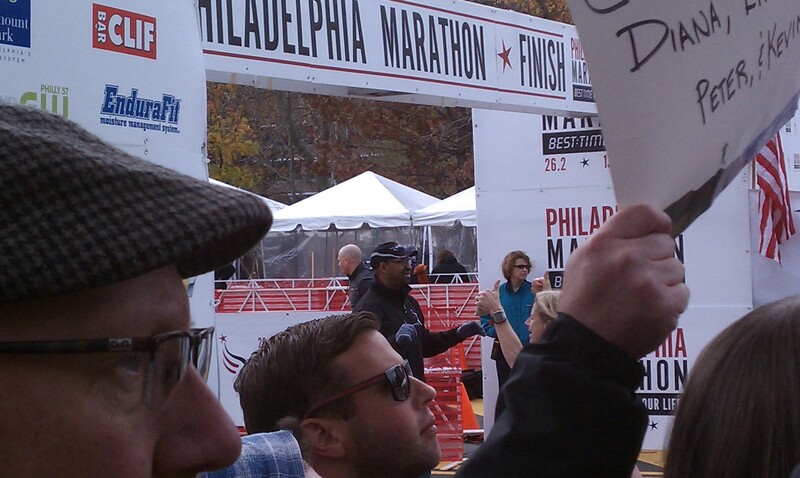 This entry was posted on April 1, 2013 at 8:01 PM and is filed under Daily Pictures, Sports with tags philadelphia, Race, Running. You can follow any responses to this entry through the RSS 2.0 feed. You can leave a response, or trackback from your own site.